I received this product as part of advertorial. All opinions are 100% my own. Welcome to the Made in the USA Giveaway Hop, hosted by Happy Mothering, Easy Green Mom and Brittleby’s Corner through the Green Moms Network! We’ve teamed up with a group of bloggers to bring you the chance to win prizes that are Made in the USA. After entering my giveaway, be sure to hop around and enter all of the other #USAMade giveaways listed on the linky at the bottom of this post! I'm excited to introduce to you a product that is not only Proudly made in the USA, but is also kid friendly, 99% vegan, and NOT tested on animals. 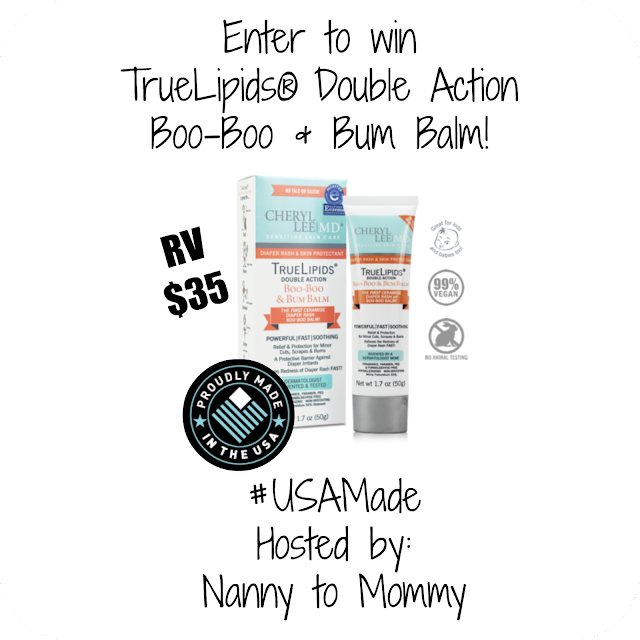 TrueLipids® Double Action Boo-Boo & Bum Balm by Cheryl Lee MD is great for Mom, Dad, Kids, and Babies! This product is very versatile and can be used for multiple treatments. Such as: acne, cracked/dry lips, cuts, scraps, burns, diaper rash, dry skin, fine lines, wrinkles, achy skin, keratosis plans, grovers disease, piment, melisma. The bolded ones are the ways I used it. This balm is truly non-toxic and hypoallergenic. Although pricier than your typical off-the-shelf moisturizer, it’s VERY different from your off-the-shelf moisturizer. They have a 30-day money back guarantee so there is no risk in trying it. If it doesn’t work, you can just send it back and they’ll refund you! Now for the giveaway! One very lucky Nanny to Mommy reader will receive a TrueLipids product valued up to $50! If you purchase and then win, they will refund you too! All you have to do to enter is follow the prompts on Rafflecopter below! Disclosure: I received one or more of the products mentioned above for free using Tomoson.com. Regardless, I only recommend products or services I use personally and believe will be good for my readers. I was under no obligation to review them if I so chose. Nor was I under any obligation to write a positive review or sponsor a product giveaway in return for the free product. This contest will run through July 15, 2014 at 8:59 pm PST (11:59 pm EST). Winner chosen through random.org, all winning entries verified. The winner will be chosen the following day and announced on Nanny to Mommy. No purchase necessary. US entries only. Must be 18 years or older to win. This promotion is in no way sponsored, endorsed or administered by, or associated with, Facebook. You understand that you are providing your information to this blog and not to Facebook. 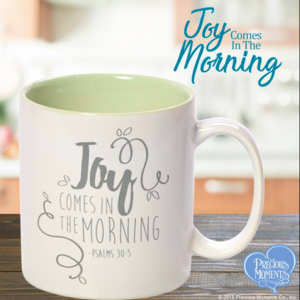 Please note that Happy Mothering, Easy Green Mom, Brittleby's Corner, the Green Moms Network and the Green Your Mom event bloggers are not responsible for sponsors that do not fulfill their prizes. We have represented each sponsor with the expectation they will fulfill their prize and in a timely manner. We will contact the sponsor regarding your prize(s). The sponsors, in most cases, are shipping their items to you directly. I will make every effort to assist you obtaining your prize. If there is an issue with a sponsor, please notify the blog you won a prize from within 4-6 weeks for assistance, after that we may be unable to assist you. I learned that they do not include any toxins or allergens in their products, but that many other products do contain them. Their products address allergy issues. I like that this is nearly natural. No toxics or allergens. I learned that they are free of many Toxins & Allergens that are common. I learned that they have products useful for eczema! I learned that the products are natural and are helpful for skin sensitivity and other skin issues. I learned that their products are truly hypoallergenic and non-toxic. These products are good for people with allergies or sensitive skin. I really like that they have a hydrocortisone cream that is still safe for those with chemical sensitivities. I really like that they have a before and after picture gallery! This sounds like such a great product that could really help people with really bad skin conditions, or even something as small as diaper rash! They are truly hypoallergenic and nontoxic and they also sell ointment, lip balm and other products. 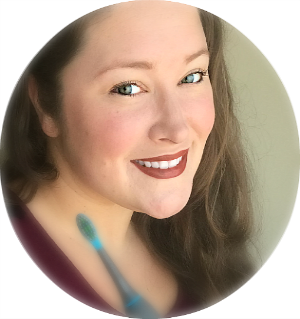 I learned that Cheryl Lee in an effort to bridge the gap between atopic dermatitis and allergic contact dermatitis, Dr. Eberting invented the TrueLipids® line of therapeutic, hypoallergenic and non-toxic moisturizers. She spent 3.5 years developing this technology which is dramatically changing the lives of people old and young alike. I learned it heals exceyma and dermititus. I love and learned that the TrueLipids® Relieve & Protect Ointment is good for eczema which I suffer from. I learned that these products address eczema, aging, dry skin, itching skin, acne, rosacea, diaper rash, minor cuts, scrapes, and burns! I have suffered with acne my whole life. This product offers toxin free regimens for patients with acne prone skin. I cannot personally use regular acne meds since my skin has such a negative reaction to the ingredients. This sounds like a product I would like to look more into. I learned they sell TrueLipids Relieve & Protect Ointment that helps with Eczema too! I learned that there is stud for eczema. 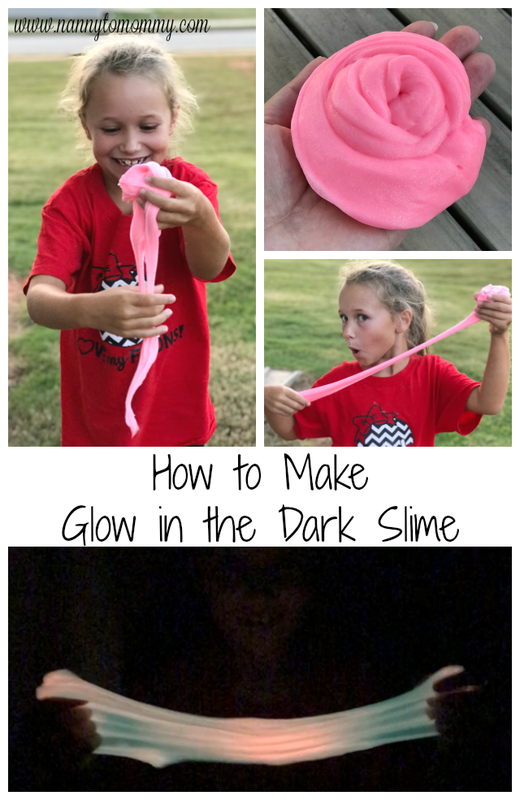 I would love to try this my daughter has terrible eczema! 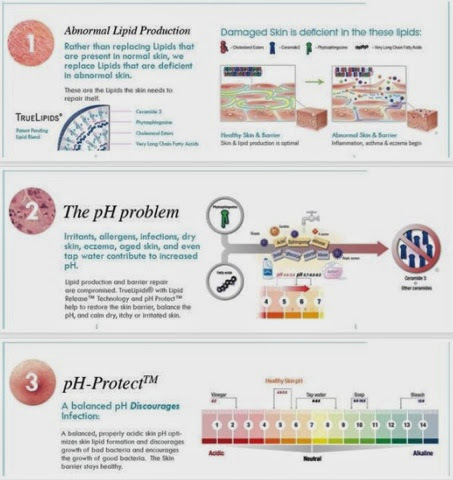 I learned that their products are the only technology in the world to address all five problems of the abnormal skin barrier. I learned that their lip balm contains glycyrrhetinic acid from licorice root which is a calming, anti-inflammatory good for cracked lips. I learned that their products don't contain common chemical allergens. I also learned that their products bring relief to a variety of skin conditions, truly nourishing and protecting skin...not just adding moisture to it. I have a few family members who could really benefit from using these products. I learned that they address skin allergies. I like that their site makes it so easy to find what you need based on your symptoms, and not only that but they explain in depth why those conditions happen and what is needed. They have no toxin or allergens. Dyshidrosis – or Dyshidrotic Eczema – is a form of hand dermatitis eczema that can be the result of an allergy, stress, or moisture imbalance that comes from the body going from wet to dry repeatedly. These products seem like they would be great for someone with sensitive skin. They have no toxics or allergens. I learned that these products are hypoallergenic and non-toxic very cool Thanks for the chance! I learned that they are allergen free! I learned that this product line is good for people with allergies. Only one with lipid release technology. 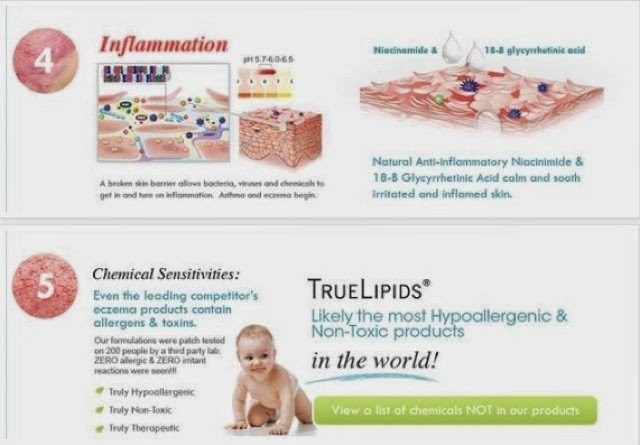 I learned true lipids products are good for people with sensitive skin. I learned that all of their products are hypoallergenic and non-toxic and that they are great for the treatment of eczema! 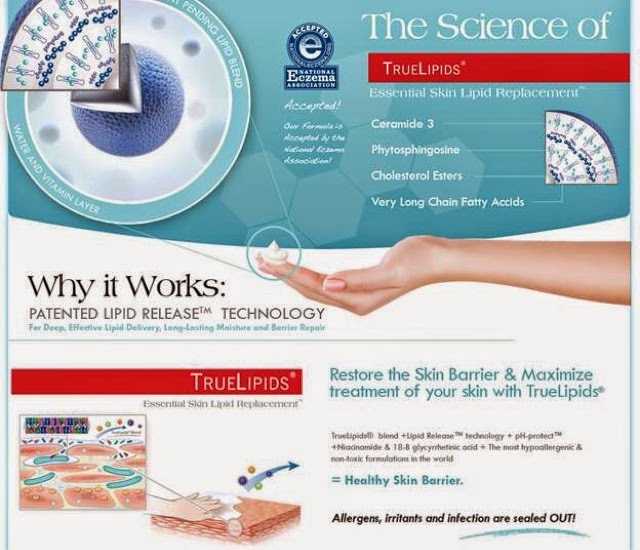 I learned that – TrueLipids® is the most advanced skin-barrier repair technology in the world!